Whether you build homes, sell real estate or a related product or service, ColumbusRealEstate can improve your marketing efforts. We offer a number of multi-media marketing solutions. And when combined with the power of Dispatch Media Group our reach is unparalleled. A new way to make a top listing stand out from the pack! You know that the real estate game is a competitive one. You need every edge you can get. The Columbus Dispatch is here to help with a new ad-placement availability in the Sunday At Home section. Your “Featured Home” ad — which is 10 percent of a page and in full color — will be anchored to the bottom of one of the popular home-sales pages. 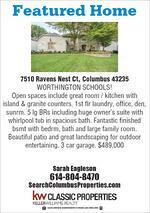 There, readers can read all about your superstar listing apart from the rest of the Central Ohio listings. I owe you a big thanks for telling me about the Sunday ad. 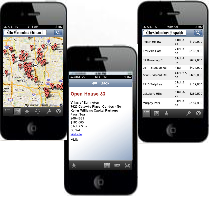 The first time I ran it, I got a call from a buyer that very day, that turned into a showing of the advertised property. What great results! My sellers and I were thrilled. I love the color in the photo and the space there is for copy. With results like that, I will be running it again. Increase your exposure and let central Ohio know about your open houses with the Open House Locator Guide in The Columbus Dispatch, online, and on our new app. The Sunday At Home Section is the information source for real estate shoppers in Central, Ohio. This section is packed with features that make it a must read for anybody in the market for real estate. Every week the Columbus Dispatch Featured a floor plan in the Sunday At Home. 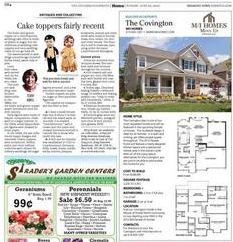 Drive results by having one of YOUR floor plans featured in the At Home in The Columbus Dispatch. Your Photo/Rendering along with the layout floor plan and a description of the floor plan will be the feature of the week. We will only have one per week and placement is first come first serve so book early. 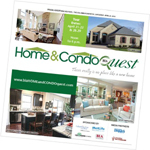 Buyers seeking a home that suits their lifestyle will find Spring Home & CondoQuest special section a must-read. BIA Parade of Homes features inside the Sunday Dispatch Home & Garden section. Surveys reveal a majority of Parade goers are looking for ideas and products for their current or next home. The Parade of Homes Planbook is the official tour program of the BIA Parade of Homes. A Planbook advertisement is one of the best ways for builders, contractors, suppliers and home retailers to target a motivated audience with one’s advertising message. 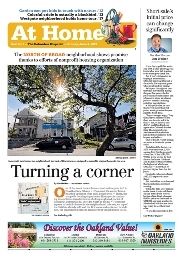 GET NOTICED – The Sunday Columbus Dispatch is read by more than 714,000 adults in central Ohio. 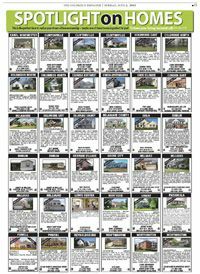 Increase your exposure and let central Ohio know about your open houses with the Open House Locator Guide in The Columbus Dispatch, online, and on our new app! Columbus Monthly Home & Garden magazine publishes six times a year. Each issue focuses on an overall theme. 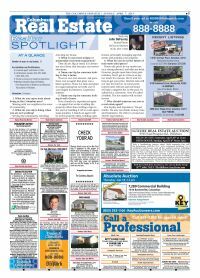 Readers will find relevant articles and photos on the latest home and garden topics and issues.